Deborah Lippmannâ€™s limited- edition music box celebrating her brandâ€™s 15th anniversary. How else would celebrity manicurist-slash-entrepreneur-slash-jazz singer Deborah Lippmann commemorate the 15th anniversary of her namesake brand than with a special project that unites all of her passions? Lippmann created a limited-edition black lacquer music box that plays a song, “Until Your Dreams Come True,” that she cowrote to mark the milestone. 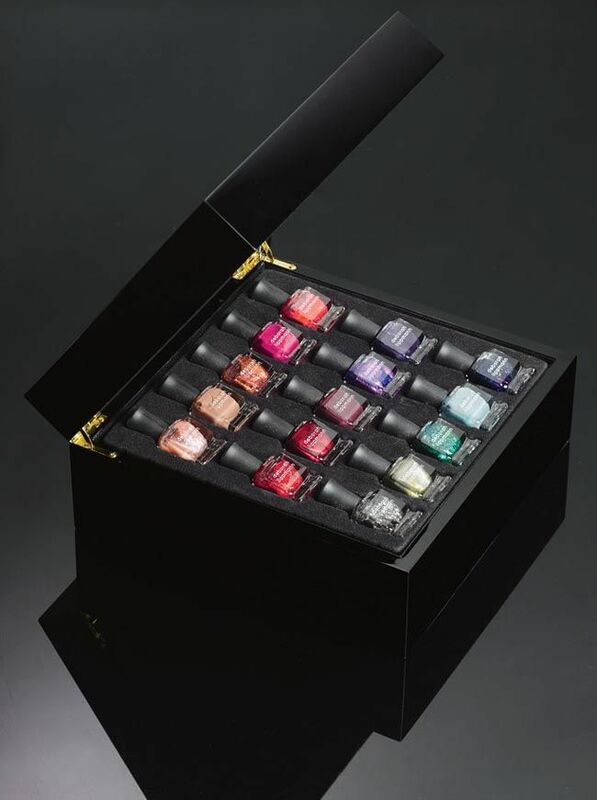 Inside the $250 box lie 15 nail lacquers that Lippmann created exclusively for the project, each with a song name that relates to a different aspect of building the company. 1999, a sparkly purple glitter, refers to the brand’s starting year, while I Will Survive, a rich green-gold shimmer, was inspired by Lippmann’s rent-stabilized apartment on 22nd Street and Ninth Avenue, which doubled as office space in the early days. The black and silver Hey Jude pays homage to her husband and business partner, Jude Severin. “The 800-number rang directly into our house,” Lippmann remembers, “so in the middle of the night when we heard it, we would nudge each other and say, ‘Your turn to feed the baby!’” The nurturing paid off: Today, Deborah Lippmann, the brand, is estimated by industry sources to have retail sales of $10 million, a figure Lippmann and Severin wouldn’t comment on, while Lippmann the manicurist continues to be a fashion and celebrity favorite, whose work appears on magazine covers and Hollywood A-listers alike.